Cruises from the US to Cuba have been making the news over the past year, with the final result that permission was granted last month for seven US-based cruise lines to make calls on Cuba in 2017. While this is a big difference from the days when a ship that called in Cuba was not allowed to re-enter the United States for six months, there remains an air of uncertainty to the whole subject. So far, the majority of cruises have only been approved until May. And with a change of US administration this week, it is perhaps too early to know where this will go. 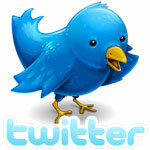 But here we briefly survey the product that has been approved for sale so far. Some 125 years ago a company called the Plant Line operated the steamship service between Tampa, Key West and Havana. And now, for the first time in decades, service is returning on the original route between Tampa and Havana. One of the Plant Line ships, the 1,611-ton Olivette, carried a 20-year-old Winston Churchill on the event of his first visit to Cuba. On November 19, 1895, Churchill boarded the Olivette in Tampa and landed at Havana, where he soon developed a taste for Cuban cigars. The Olivette was one of two ships that had been put into service between Tampa, Key West and Havana in the 1880s, in the summer months sailing between Boston, Halifax and Charlottetown. Another famous passenger who travelled on the Olivette was Jose Marti, who sailed in her from Havana to Key West in 1891. Now, in 2017, Royal Caribbean International’s 1,604-berth Empress of the Seas will make a couple of sailings from Tampa to Havana. She has recently undergone a $50 million refit that included adding a Cuban theme to her bars, lounges, and restaurants and Royal Caribbean hope will be sailing to Cuba in the foreseeable future as well. The Empress will offer a 5-night cruise from Miami on April 19, a 7-night cruise from Tampa on April 30 and a 5-night cruise from Tampa leaving May 20. Each sailing will allow at least eight hours in Havana and offer a wide choice of sightseeing tours, the most expensive of which will be an 8-hour tour for $124. 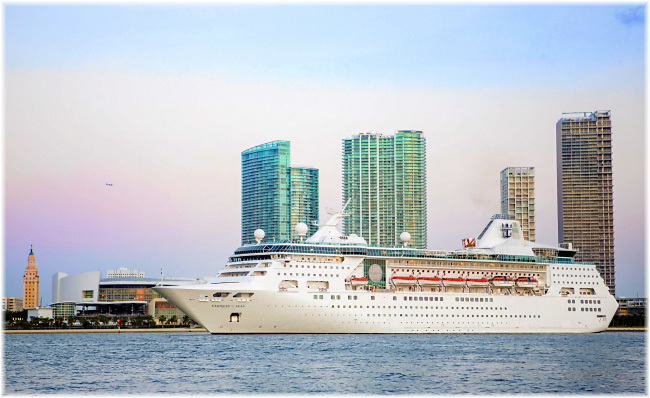 Empress of the Seas will then be based in Tampa for the summer, offering a series of 4- and 5-night sailings, hopefully including calls in Cuba. 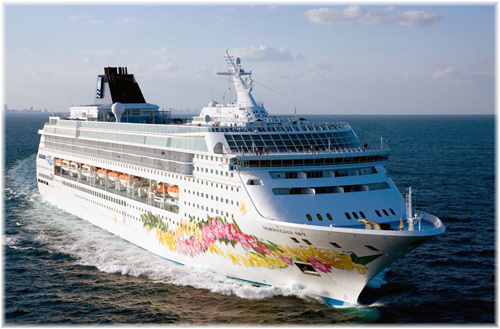 Norwegian Cruise Line will also be competing in this market, but from Miami with its 2,002-berth Norwegian Sky. Until May, this ship will offer a 4-night cruise every Monday from Miami that includes an overnight stay in Havana. Norwegian Sky will make the 90-mile journey from Miami to Havana on Monday and arrive on Tuesday morning. She will depart Havana on Wednesday at 2 pm for a stop at Great Stirrup Cay in the Bahamas before arriving back in Miami on Friday. Among the cruise lines that have now been approved to sail smaller ships from the US to Cuba this year are Oceania, Regent, Azamara and Fathom. These are the longer more luxurious cruise itineraries. 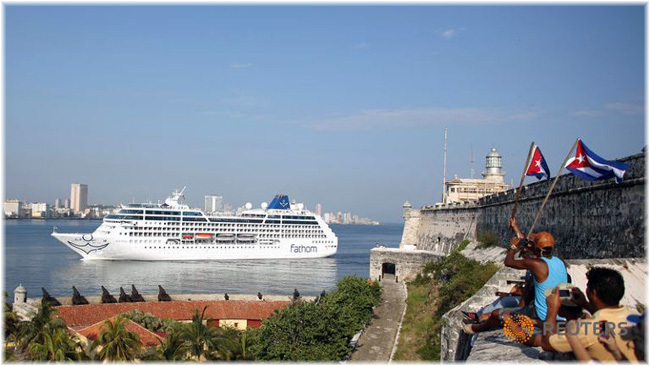 Oceania Cruises will operate three Cuba cruises this March from Miami, the first of which will be offered March 7 on the 1,250-berth Marina. The affiliated 708-berth Regent ship Seven Seas Mariner will also call on Havana during two 7-night cruises leaving Miami on April 11 and 18. 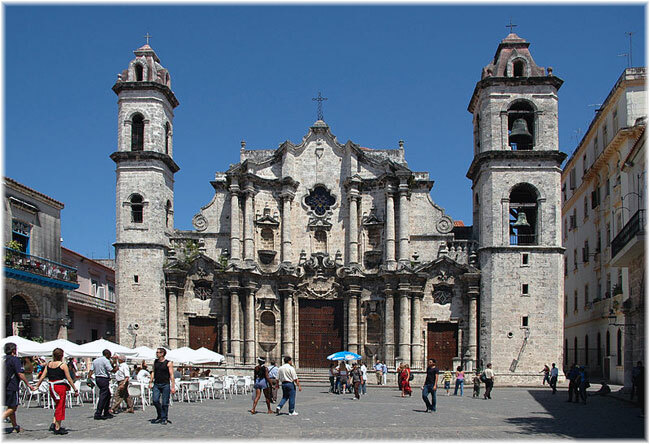 Azamara Club Cruises will call on Havana on a 12-night voyage by the 684-berth Azamara Quest, leaving Miami on March 21. Other ports will include Key West, Tampa, New Orleans and Cozumel. Fathom is offering six 7-night voyages from Miami in its 700-berth Adonia that visit the Dominican Republic and Santiago de Cuba. Cruises depart February 26, March 12 and 26, April 9 and 23 and May 7 before the ship is redelivered to P&O Cruises and Fathom is turned into an operator of shore excursions. Finally, unlike the other lines, Viking Ocean Cruises has announced that it will operate four 8-night cruises from Miami this November and December, with an overnight stay in Havana and port calls in Cozumel, Belize and Key West. Pearl Seas Cruises is meanwhile getting a jump on the bigger lines, with its 210-passenger Pearl Mist. She will offer a 10-night cruise to Cuba departing Fort Lauderdale tomorrow, January 17. The ship will circumnavigate Cuba, visiting Havana and a number of ports on the southern coast including Cienfuegos, Trinidad and Santiago de Cuba. Pearl Mist will offer eleven cruises to Cuba between now and May. Meawhile, Miami-based Victory Cruise Lines, operating the 210-berth Victory 1, are said to be developing a similar series of 11-night circumnavigations of Cuba from Miami. While six brands were authorized in December to carry passengers on a fairly limited number of cruises to Cuba, no US-based cruise line has yet received permission to sail there after the end of May. And in the US, the politics of rapprochement with Cuba could very well change with an end to relaxed travel rules with the change in administrations this week. 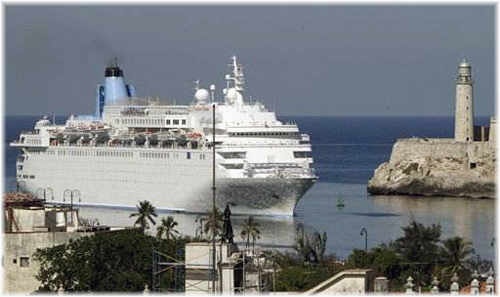 Meanwhile, ships sailing to Cuba from non-US jurisdictions include the 966-berth Celestyal Crystal, 170-berth Star Flyer, 1,506-berth Thomsom Dream, 2,146-berth MSC Armonia and MSC Opera, 839-berth Boudicca, 706-berth Saga Sapphire, 848-berth Marco Polo and 1,750-berth TUI Discovery 2. In total, 131 cruises will call at Havana this year.